Our regulars know that, at least for the foreseeable future, we want nothing to do with the 300 Blackout cartridge. Yes, I am aware that it is the flavor of the day. Yes, I am aware that it’s optimal for suppression. Yes, I am aware many say it preforms like a 7.62×39 but in a AR. Sure. Sure. Which is all good. But none of those things are mutually exclusive to the 300. And on principle, I am not opposed to switch caliber weapons. I run both a Blaser R8 and a Blaser Tactical 2 rifle. Combined, I believe there are over 40 calibers available between them. 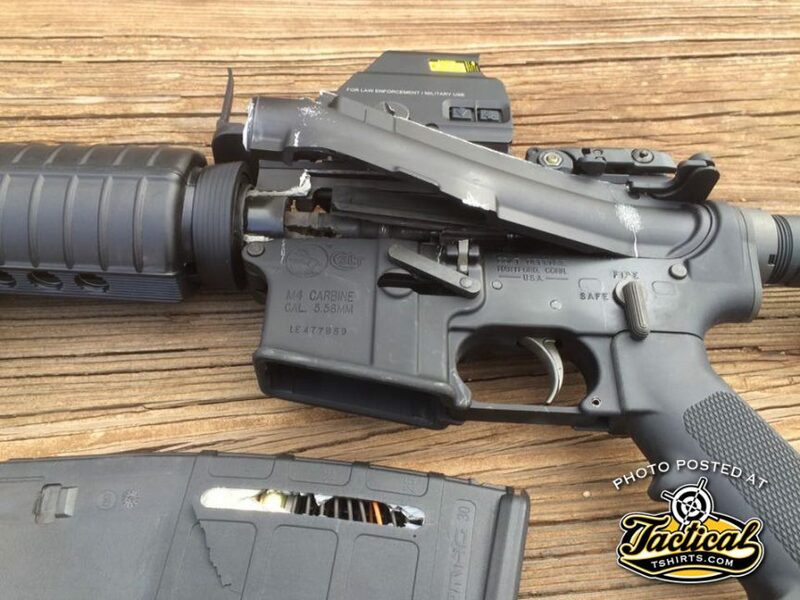 But one of the selling points of the 300 Blackout is one of it’s drawbacks. The standard AR bolt and magazine work for both calibers. At least on the Blaser system, you have barrels, bolts and magazines that all need to make sense. And there is a clever way that Blaser presents the markings for all three parts in one field of view. On the AR, it is very, very, very easy to simply pickup the wrong ammo and fire it in the wrong gun. With catastrophic results. Yes, I understand it’s a training issue. Yes, I understand it’s a user error, not a design flaw. But 300 Blackout doesn’t do anything for me that standard calibers don’t. So I choose to not mess with it. Just in the last 15 or so years, I have seen 357SIG, 10mm, 45GAP and 6.8SPC statistically die. With what appears to be 40S&W shuffled off to Hospice Care. And I’m skipping over more calibers that in reality never got out of the wildcat stage. 300blk has a long, long, long way to go before I let even one single, solitary round into the arsenal.